A cold glass of lemonade is the perfect addition to a warm spring or summer day. 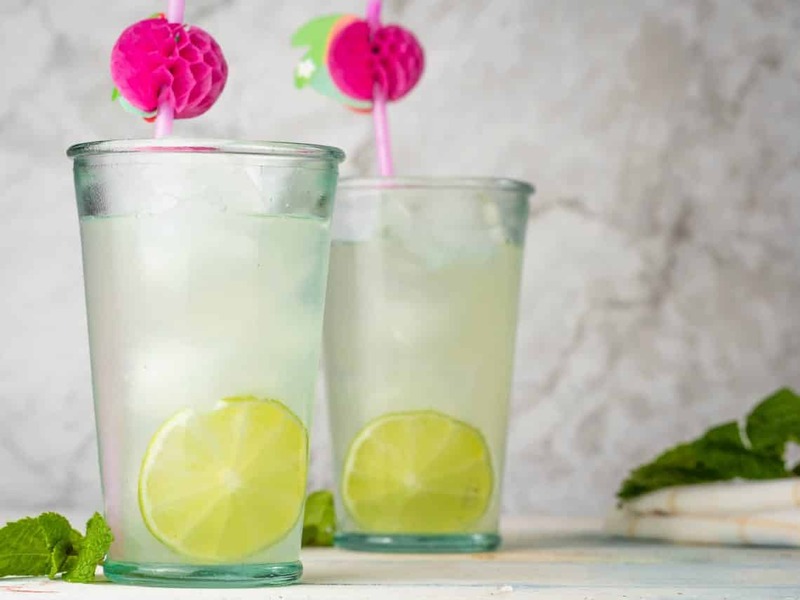 This low-carb/keto-friendly lemonade is super easy to make and very tasty! Ok, seriously. What is better than a cold beverage on a hot summer day? Name. One. Thing. Can’t do it? Neither could I (I pinky promise I tried really hard). I even thought of foods and desserts. In fact, during one part of our history, lemonade was offered as a replacement for alcohol. One slogan from the time even read “Good-bye to liquor, here’s to lemonade.” It’s is pretty darn good, so maybe that worked for them. Seems like it was a good idea at the time, at least. When thinking about most lemonade we encounter in today’s fast-paced “everything ready to go in a moments notice” world, most of it is powdered. Simply mix with water and you can have lemonade anytime, anywhere. As you already know, that can’t be the best for you. The promise of real, powdered lemon is rampant. But what about their added sweeteners and anti-caking agents for the powder? That stuff isn’t good for you. It might be approved for use by the FDA, but be skeptical. Always use real ingredients if at all possible! There is a reason we stray away from things a lot of other recipe sites use like protein isolate powder, powdered mixed sweeteners, and other ingredients. If it’s not real, we don’t want it. 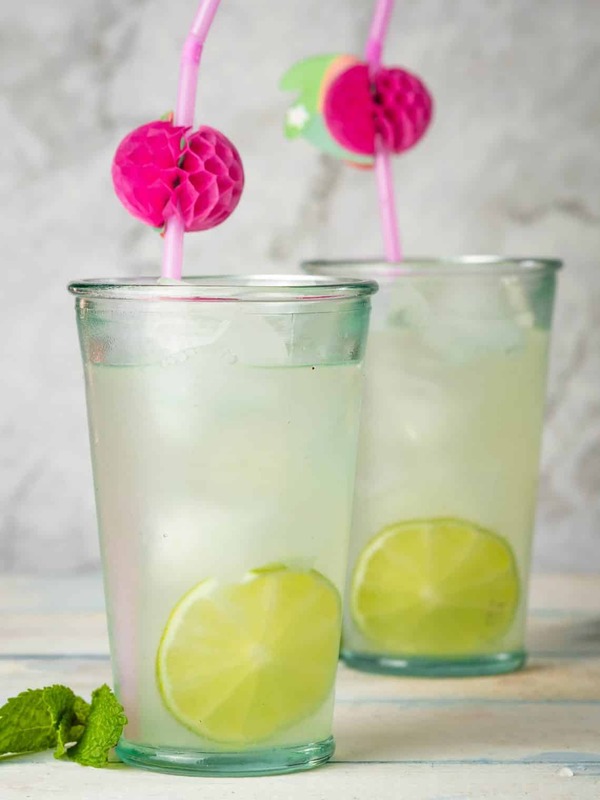 This low-carb/keto friendly lemonade uses perhaps the simplest ingredients you can find. Lemons, water, and zero-glycemic sweetener. That’s it! Because it is drop-dead simple to make, it takes just a few minutes to prepare. You can easily blend it with ice and have a lemon slushy. Similarly, you can serve it over ice like the good old days. Lastly, if you have friends or family who is joining you on your low-carb/keto lifestyle, make a pitcher-full for your next cookout or get together. Above all, it’s tasty, light, refreshing, and low on the carb count. Drink up! 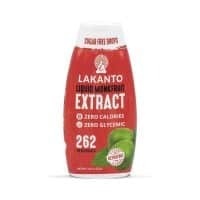 I’ve been a fan of Keto Lemonade for a while now. I do a lot of work that gets me sweating, so I make this into Keto Electrolyte Lemonade by adding 1/2 tsp powdered grey sea salt per quart. That sounds like a great idea! Thanks for the suggestion!